Twenty Feet from Stardom is a new music documentary currently rolling out in theaters across the country in limited release. Directed by Morgan Neville, it details the triumph and the plight of being a back-up singer by profiling such supreme performers as Darlene Love, Lisa Fischer and Judith Hill. The profiles are supplemented by interviews with a cavalcade of music industry legends including – yes – Bruce Springsteen. Obviously, if you’re only looking for a Springsteen documentary, look elsewhere because this isn’t it – not that it purports to be and nor should it be. Bruce is given equal weight amongst the impressive roster of talking heads and his contributions never overshadow the subjects of the film. That said, Bruce’s comments are just as analytically sound, full of wisdom and clear-eyed as you would expect. I was also delighted to see that the first lines of dialogue in the film are delivered by Bruce and the film concludes with concert footage of Bruce and the E Street Band serving back-up to Darlene Love’s lead vocals. Over the course of its 90-minute running time, the film wrestles with the challenge these back-up singers face in terms of not receiving recognition or sustained success while contributing signature elements to some of the most successful songs of all time including “Young Americans” and “Sweet Home Alabama.” Twenty Feet from Stardom features some very engaging deconstructions of such popular songs and a breakdown of “Gimme Shelter” is probably the film’s standout sequence – although it also struck me as over-directed with too much editing. Director Morgan Neville cuts a wide swath as he moves through doo-wop to Motown to classic rock to today. There is some very interesting investigation into both the psychology and the situational context of the back-up singer as well as the objectification of these unsung heroes. Fans of any of these music genres will take great interest in the in-depth detail of these musicians and the filmmakers have assembled a truly remarkable group of personalities to be interviewed. 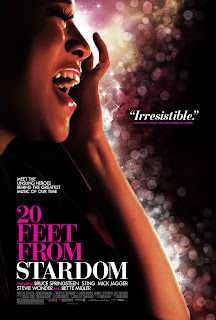 Twenty Feet from Stardom is currently playing in various states across the country and opens in my hometown of Chicago this Friday, July 12 at the Landmark Century Centre Cinema. 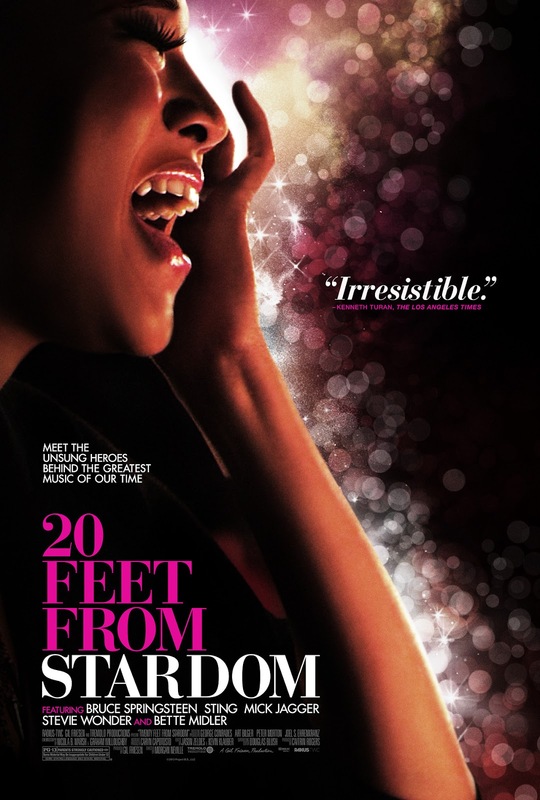 For a full list of play dates, visit the film’s official website here: http://twentyfeetfromstardom.com/dates.